Global CO2 emissions just keep on rising. 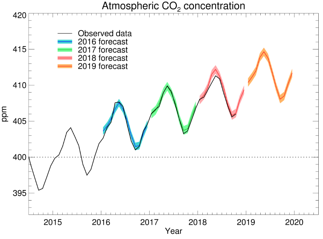 Despite carbon reduction efforts being high on the world’s agenda for many years now, 2019 is set to see one of the highest levels atmospheric CO2 ever. With the Met Office predicting the concentration to be around 411ppm, it’s evident that carbon dioxide levels haven’t been this high for at least three million years. What’s causing this continued rise? It’s the actions we have known about for decades - the burning of fossil fuels and the devastation of the world’s lung-like forests. Exacerbating this is the return of El Niño climate conditions, resulting in plants growing less and therefore absorbing less CO2 from the atmosphere. How do we stop adding CO2 to the atmosphere? Governments and the business-world need to adopt a sweeping and rapid approach to cut these ever-increasing emissions. Nations have goals to aim for, but currently not enough action. However, global action on a shared issue can be achieved. In the 1970s, scientific research proved that chlorofluorocarbons (CFCs) were destroying the protective ozone layer above the two poles. By 1987, all 197 countries of the world had united, for the first time in history, to ratify the Montreal Protocol, a treaty to phase out and ban CFCs and other substances responsible for ozone depletion. Since the universal coming together and manufacturing ban, the ozone layer is healing. Since 2005 there has been a 20% reduction in ozone depletion. Clearly, policy and business change can have a hugely positive impact on the planet and it’s what we need now. According to the latest Circularity Gap report, the only way to limit global temperature rise is to go circular, where resources are recycled, reused, and manufactured into secondary commodities. Around 62% of global greenhouse gases (excluding those from land use and forestry) are emitted during the extraction of material, processing, and the production phase of goods. Adopting a circular economy, where resources are in use for as long as possible rather than constantly extracting, consuming and disposing, means new resources don’t have to be made from emission-intensive production or farmed from our natural world. This highlights the inextricable link between the circular and low-carbon agenda. The problem is that not enough people have latched on to the more rounded way of thinking and the global economy is still only 9% circular. This figure means that 91% of resources entering the global economy are not reused. 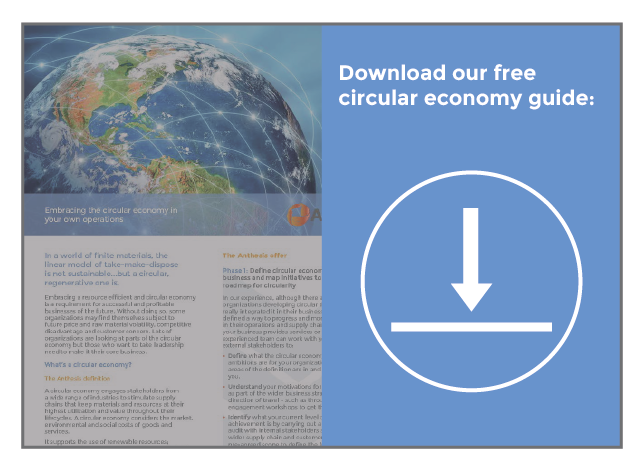 The second annual Circularity Gap report demonstrates the missed opportunity for businesses to move away from traditional linear models and to circular business models – going circular benefits both business and the environment. The resource gap that needs to be closed. Source: Circularity Gap Report. An area with one of the largest resource consumption, waste and emissions footprint is the built environment – buildings, roads, infrastructure and houses. Priorities when it comes to implementing circular strategies in this area mainly depend on which part of the world you’re in. For example, in Europe a lot of building stock and infrastructure is already in place, so the priority here is to sustain and preserve what’s already there, improve energy efficiency and material reuse. In rapidly expanding China however, there’s an opportunity present now to design for the future and build in a circular way. Countries and regions are taking note. For example, last year the EU released their Circular Economy Package to facilitate the transition to more sustainable material management, the Netherlands is aiming to be 50% circular by 2030 and the UK unveiled a Resources and Waste Strategy which highlighted the built environment’s role in taking the circular economy forward. Leveraging the possibilities of digital technology, for example material passports. If you generate waste in your commercial practices ask your colleagues and waste contractors if this goes to landfill, gets recycled, and is available to buy on a secondary market. On a higher level, waste is just that: waste. It represents an inefficiency and is often linked to lost capital or revenue as well as lost resources. 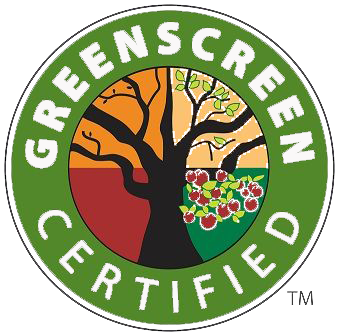 The more efficient and circular can make your business, the less waste you will generate and the more sustainable your business becomes, both financially and environmentally, for the long-term future. The signing of the Paris Agreement established a global-wide consensus on the need to mitigate human-caused climate change and its impact by two main steps – policy and practice. But real actionable progress has been glacial in its advancement, and time is rapidly running out. 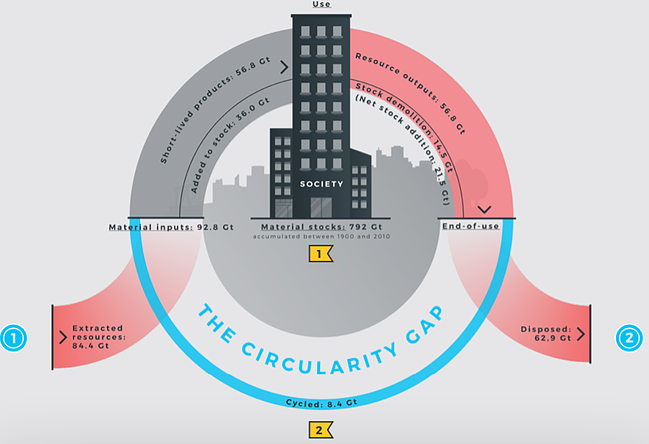 The Circularity Gap report highlights the potentially untapped mitigation powers of the circular economy. Not only can operating in a more circular way reduce carbon emissions on a national front, it can preserve resources, use what we have already extracted and stop unnecessary waste being generated. For businesses, there is an inextricable link between carbon-strategies and circular-strategies. Don’t double the amount of work for yourself by treating these issues separately. By considering a sensible, business-focused way of approaching these key sustainability issues, you can maximise the impact of your organisation’s sustainability strategy, cut emissions, cut waste and enhance your bottom line. 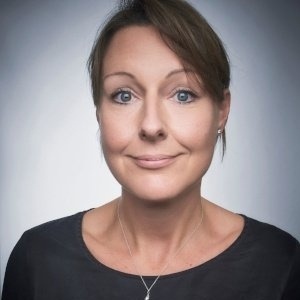 Debbie Hitchen is Director of Waste and Resource Sustainability at Anthesis. She is a leading industry figure on plastics, packaging, creating a circular economy and sustainable waste management.